A month before this visit, my friends and I just finished off having Korean BBQ down at Tosung Firewood BBQ and ventured off for somewhere to chill. We sat in the toasty Sweet Memory on the high chairs by the window, it was interesting – a part cafe and part stationary shop! I was sick with an itchy throat, my mates asked if I wanted anything, I ran up to the cakes display and looked through them carefully. 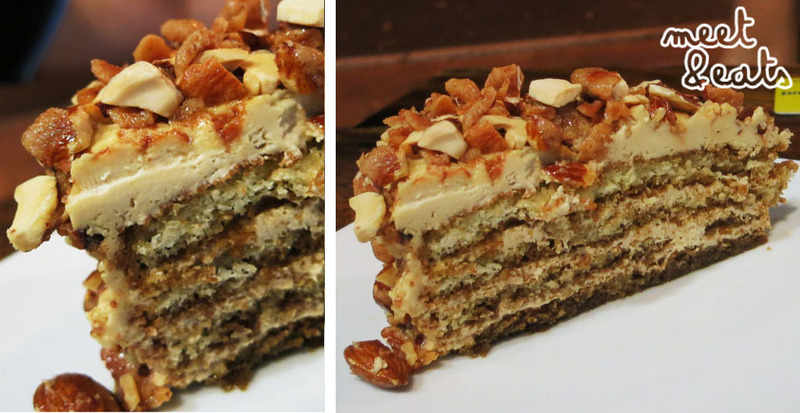 I saw the most beautiful cake, layered with so many flavours and coated in almonds, I love almonds! But my friends wouldn’t let me order it because it was coated in almonds, which they said would only make my throat worse! Nothing else from the menu appealed to me, so I skipped around the store, which was filled with cute Korean stationary, checking the prices and continually being shocked, hehe. A month later, I went for an impromptu catch up with a few friends. I got so excited when someone mentioned My Sweet Memory! Yessss! The Espresso cake! The staff members definitely don’t match the name, or feel of the place at all. A little enthusiasm please. I happily sat down with my two friends on the patio. They only wanted a tiny bit, but we ended up ordering a second! It was thaaat god! This was just as amazing as it looks! 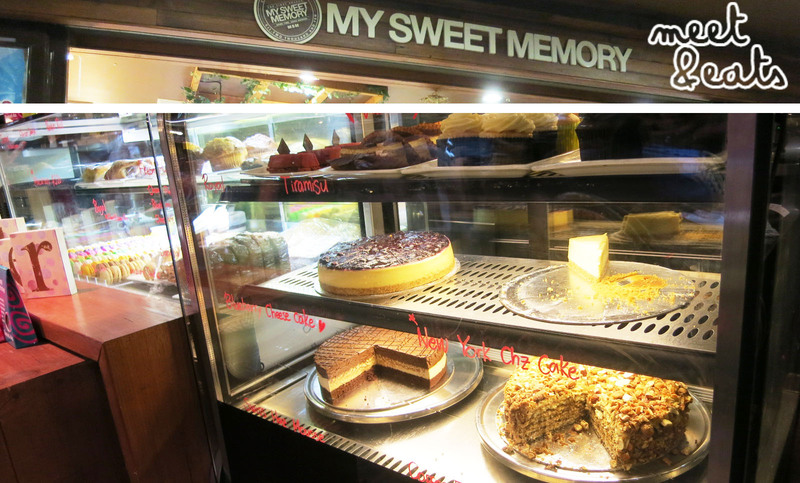 I will come back to My Sweet Memory time and time again just for their Espresso Cake. It’s such a unique place and nice cafe to hang out at. I don't like caffeine drinks at all! I bet it would be cute to drink though. I've seen images of their lattes! Adorable! That cake looks RICH! But it may possibly be a good alternative to a cuppa every night to stay awake. I might just swing down to Strathfield and try it out, thanks for the recommendation!